These intriguing looking objects were found by our archaeologists working at St Georges, near Weston-super-Mare in 2001. 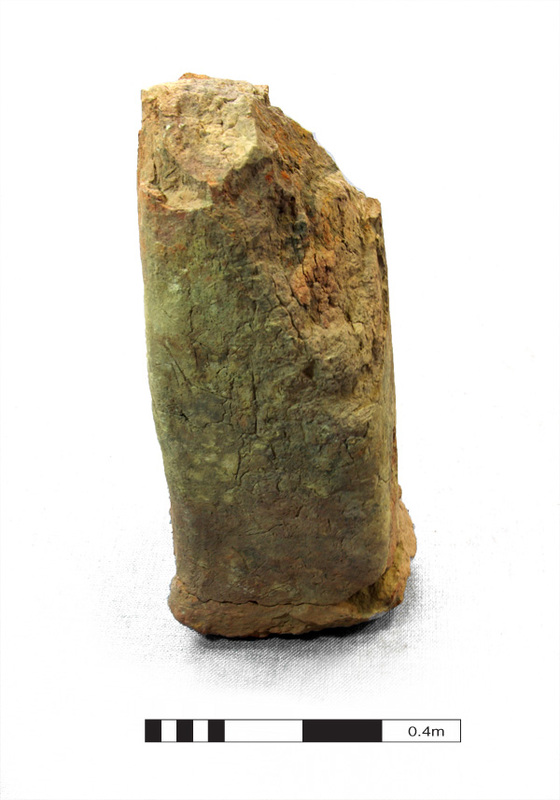 ‘Briquetage’ is a term applied by archaeologists to containers and other material crudely made from clay, fired until hard and associated with production and transportation of salt. Salt was an extremely important commodity in ancient times, vital for the preservation and flavouring of meats. Briquetage pedestals were used to support evaporation brine pans or troughs and heated within large oven structures. In operation crystalline salt formed within the pans and was collected for use and transport. No in situ evidence for oven structures were found at the St Georges site, the briquetage and other debris having been dumped in large pits and other features. The St Georges site appears to have been used for salt production over a long period. There was some evidence for production dating to the late Iron Age, utilising small pedestals and clay troughs. The very large pedestals relate to the latest phase of production, possibly around the second half of the 1st century AD, although the precise date of this activity could not be determined, and may have supported lead evaporation pans. Two forms were recorded; of plain, square-sectioned type and of faceted form. The latter form, which are unique from Roman Britain, were probably made using a wooden ‘paddle’. 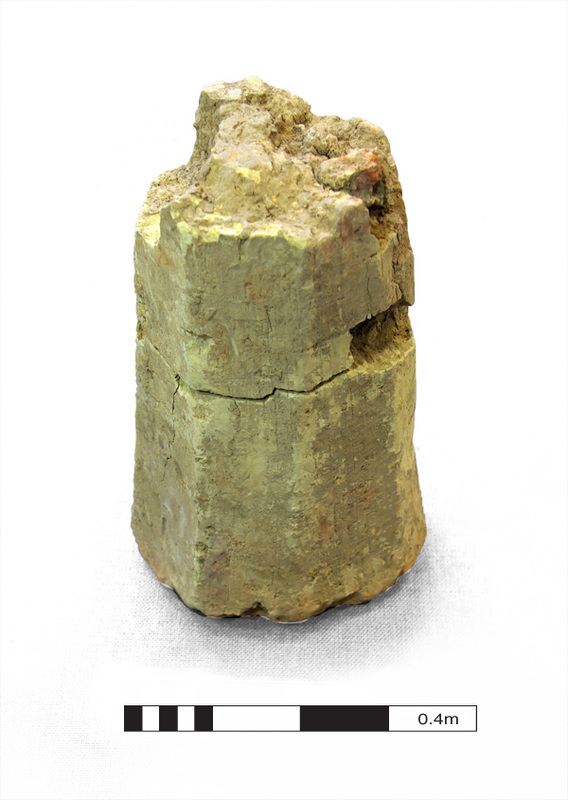 The massive size of the pedestals, the largest examples standing over 50cm in height and weighing 5kg, is unusual and only one other site, from Middleton, Norfolk, has produced similar finds. In this case the large pedestals were associated with pottery and other finds dating to the later 3rd to 4th centuries AD. However, the saltmarsh at St Georges seems likely to have been drained and embanked between the mid 2nd and mid 3rd centuries AD, and a freshwater environment created, so a significantly earlier date for these large pedestals from St Georges seems likely. An absence of briquetage containers and the overall scarcity of pottery from the site, suggests that salt was transported from the site in containers in other materials, most likely wooden barrels. The volume of material from St Georges (in excess of 170kg), probably the largest assemblage known from Roman Britain, suggests a large and well-organised operation. As a location, St Georges is well sited to serve the relatively populous Gloucestershire/north Somerset region and with good access to supplies of lead (for the pans) from the Mendip Hills.